Is this 3.6 Billion Barrel Project Profitable at Less Than $40/Barrel? When it comes to investing in unconventional oil exploration companies, there are a couple of key questions that every investor needs to consider when evaluating a new resource. Will the oil actually flow to the surface at decent rates? Will that flow rate support economic development at the expected oil prices? Obviously no one knows the correct answer to the above questions at the time of investing in a speculative oil stock, so it’s all down to the individual investor to make their own mind up. Multiply the resource volume by a nominal value per barrel and you have a crude estimate of just how much a project might be worth. 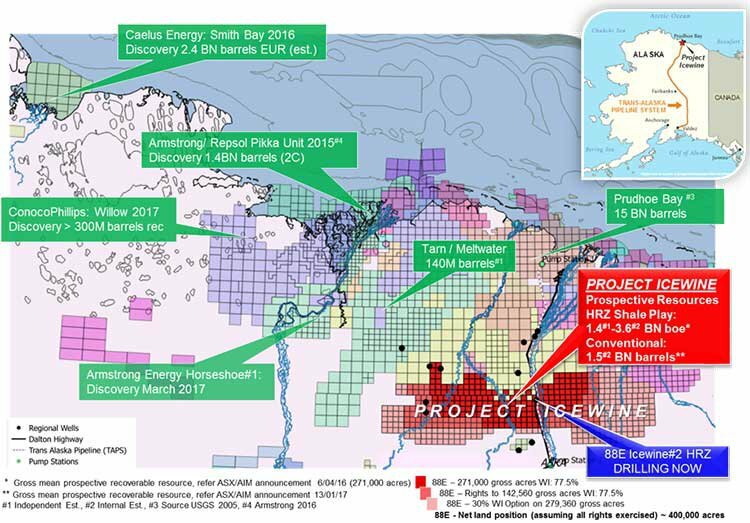 When it comes to 88 Energy (LSE:88E; ASX: 88E), what we have right now is a company that has already cored an entirely new resource play at its Alaskan Project Icewine. Its independent prospective resource estimate is 1.4 billion barrels of oil equivalent, but given the company’s in-house experience in evaluating these types of plays, 88E is standing by a figure of 3.6 billion barrels of oil equivalent . 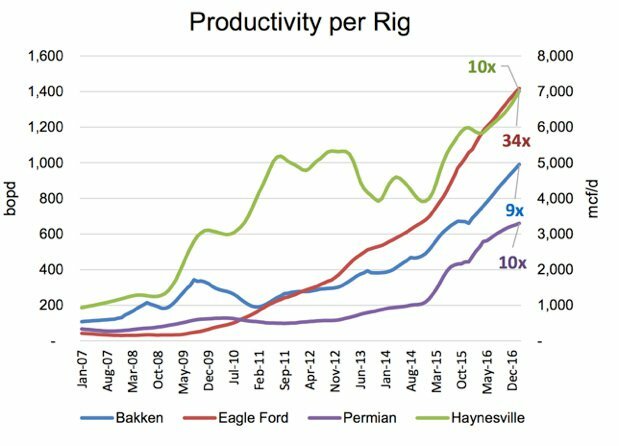 88E’s project partner did unlock the Eagle Ford shale, so they know a thing or two about discovering multi-billion barrel shale plays. The order of magnitude of the value of 88E’s project is beginning to emerge post the successful drilling of its maiden Icewine #1 well. The company is now once again generating investor interest in the much anticipated drilling of Icewine #2H – a horizontal well which will aim to find out just how thick and fast the oil will flow. The just released early project economics show a break-even price at 88E’s Project Icewine as low as $27/barrel. If you think the oil price is going to continue to climb from current levels – then the economic viability of this project just gets all the more stronger. And therein lies the inherent upside in 88E right now – beyond the flow rates Icewine #2H can obtain. At this point we should remind readers that success is no guarantee when investing in speculative oil stocks – always consider your own personal circumstances and risk profile before choosing to invest. That was just Phase 1 of exploration. What kind of return will there be from a successful production well? 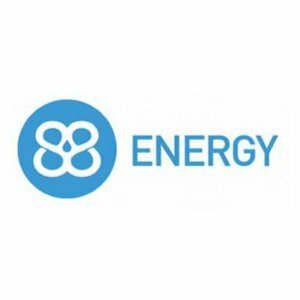 88 Energy (LSE:88E; ASX:88E) has a spring in its step, and for good reason. Whilst this article will focus on what is in store over the next few months at 88E, it’s worth taking a quick look back and assessing how far this company has come. Much of 88E’s success can be put down to a savvy project acquisition in the heart of the North Slope, when the oil price was at multi-year lows. There is no way Project Icewine would have been snapped up for the price it was by a start-up oil explorer like 88E if it wasn’t for the low oil price. And today, as the oil price creeps back up, it only adds to the potential exit valuation for 88E. 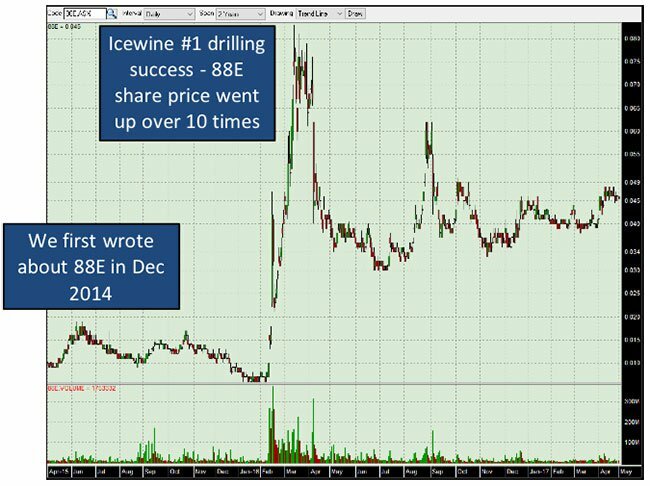 88E operates Project Icewine with a 77.5% working interest, with JV partner Burgundy Xploration holding the remainder. Here’s a quick snapshot of what the exploration peloton is looking like in Alaska with 88E’s acreage indicated in red in the map below. Above 88E to the north, you can see all the other billion barrel discoveries that have taken place on the North Slope of Alaska. 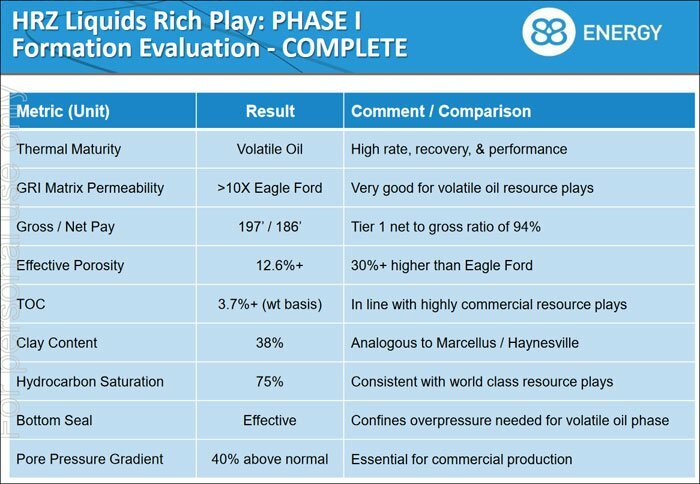 Given its progress to date in the region, 88E could be well placed to prove up the next major multi-billion barrel discovery from its unconventional play. 88E’s work to date in the Alaskan region is also winning it a few accolades. 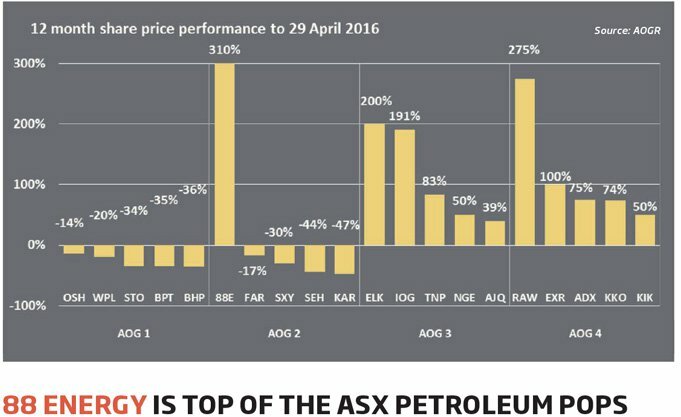 The explorer recently gained the illustrious title of “Top of the ASX Petroleum Pops” by the Petroleum Society of Australia (PESA) and the AOGR, on the back of its exceptional share price performance in 2015/16. 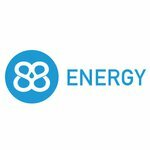 88E’s progress to date has also attracted several positive analyst reports. As part of our stock screening repertoire, we like to see what the analysts think about stocks on our radar. Australia’s Hartley’s considers 88E a “speculative buy”. At the same time, analyst predictions are no guarantee to eventuate – so don’t consider just these reports when you are investing. Consider your personal circumstances and seek professional advice. 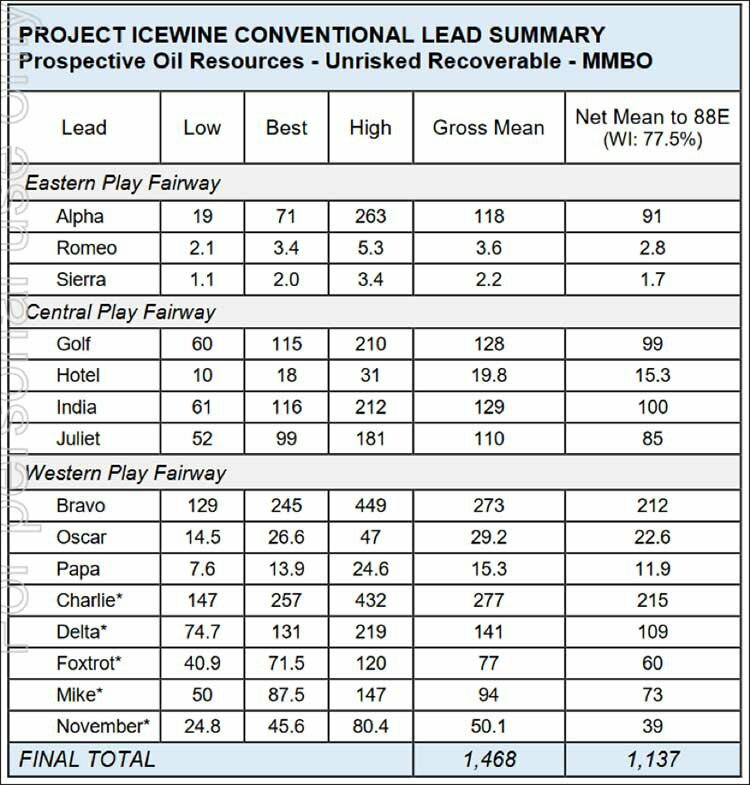 These analyst reports reaffirm our own view that the commercialisation of 88E’s Project Icewine could well be within 88E’s grasp; and success at Icewine #2H could re-rate the company yet again. 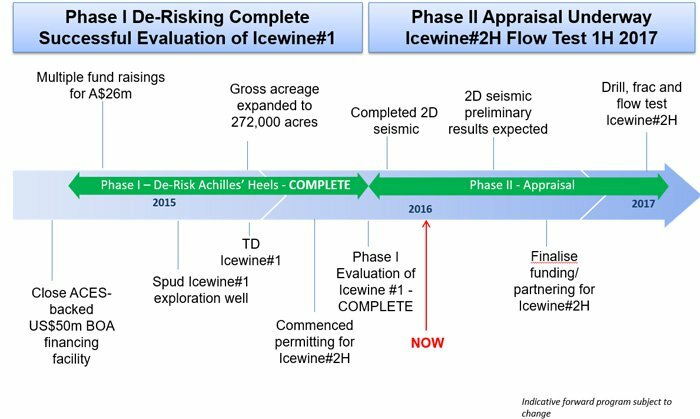 The next goals for 88E right now are centred around the drilling of Icewine #2H, which forms part of the overall Phase 2 exploration. Phase 2 is aiming to answer those questions we had the beginning of this piece – at what rates will oil flow at Icewine, and will the flow rate be enough to support economic development of the project? We would imagine 88E would also be talking to funding partners for this well – given the success of Icewine #1 and a rebounding oil price, there must be a lot more doors opening for the company. If Icewine #1 put 88E on the “promising junior explorer” map, its next drill at Icewine #2H could plant it firmly at the forefront of the mid-tier oil companies on the North Slope of Alaska — the most productive hydrocarbon region on the entire continent. As long as 88E can substantiate strong flow rates in the HRZ shale, there is potential to unlock billions of dollars in value for the company. Of course, there is simply no guarantee of this kind of success here – 88E is a speculative stock. So apply caution if considering an investment, do your own research, and seek professional advice before you invest. Let’s take a closer look at Icewine #2H. Icewine #2H will be an unconventional well with multi-stage fracture stimulation with the objective of proving the production potential of the HRZ reservoir. The drill will bore down to around 1500 feet, and then turn sideways to penetrate 3000 feet laterally. The landing zone and stimulation design selection will optimise the stimulated rock volume and consequent flow potential. 88E has already de-risked a lot of the project unknowns, therefore the probability of geologic success has ticked up significantly, from 40% to 60% after an independent report corroborated 88E’s geological analysis . This is, however, a new play type so you can never completely de-risk all of the unknowns. On the flip-side however, the added risk associated with exploring an entirely new play is offset by a disproportionately higher reward – in the form of a billion barrel plus resource with potentially high flow rates that rival conventional alternatives. There are many variables and changing factors, but in broad strokes, assuming the worst, i.e. a P90 resource assumption, and a high extraction cost, the project could be commercial at US$68/barrel. 88E will be in the best position if the P10 resource is in the ground, and costs are kept low – this is the high case above, where the project could be economical even at an oil price of just US$27/barrel. Whilst no one can truly predict where the price of oil will go, one thing is for sure – the last few years have seen huge levels of planned exploration spends across the planet completely pulled. Almost all oil producing countries have either deferred or cancelled projects, in a short term reaction to the oil price low point of a few months back. Things can move very quickly when it comes to oil – and with a dearth of new oil projects being developed, and continued high demand, there may well be a supply crunch to come, resulting in a rise in the price of oil. Whilst the oil price was at its lows, 88E acquired its project at a heavily discounted rate, and was able to drill its first successful well on the cheap – discovering an entirely new resource play. 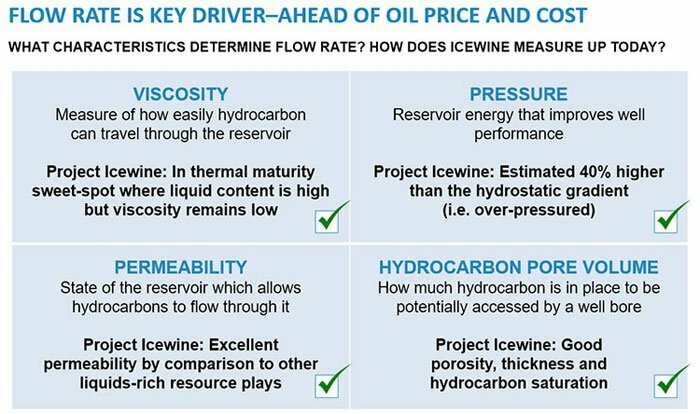 Given those macro forces at play, what will the price of oil be when Icewine #2H is drilled? And then expand that thought to what the price of oil might be down the track if 88E can start selling the black stuff? Assuming oil prices recover, each step in that recovery should add to 88E’s momentum — as if it doesn’t have enough already. Aside from drilling Icewine #2H in early 2017, there are plenty of other near-term catalysts investors should be aware of. The first is the assessment of 2D seismic data that’s currently being collated by 88E’s technical team. Finalisation of this will further help to de-risk the Icewine #2H well design and provides additional information for future unconventional and conventional exploration targets. Drill permitting for Icewine #2H will be another milestone for the company, which will lead into final well design. And hopefully we get news of an additional funding partner to support the acceleration of Icewine’s development. As these goals are kicked, they will only serve to add further weight to 88E’s extraordinary story. Project Icewine is hotting up, just as oil prices begin to thaw. So, as we outlined above, 88E spudded its first well at Icewine in Q4 2015 to determine whether the key characteristics inherent in successful shale plays are also found in the HRZ shale. The good news came through, and following core analysis and geochemistry results, it was clear that 88E was onto something. Honing in on four key characteristics below, the reason why 88E caught investors’ attention late last year was success in all of them. The goal now is to find out the kind of flow rates the company might be able to see if Project Icewine moves into production. And the drilling of Icewine #2H is going to play a big part in that. From the success at Icewine #1, 88E was able to raise the probability of geologic success from 40% to 60% — a crucial aspect that will serve to improve 88E’s own chances of making it to production, but also, is likely to be a key deciding factor in attracting future JV partners. It would seem the more exploration and technical work 88E does, the more Icewine stands out as a superb hydrocarbon project, one that stands on the cusp of being proven as an economic development. An increasing body of evidence from Icewine#1 supports the case for potentially exceptional flow rates from the HRZ, which is where Icewine #2H comes in, as a horizontal multi-stage fracture stimulation well. However, this is an entirely new play – so a strong flow rate is no guarantee – it’s early days in this exploration, and 88E is a speculative investment. As any oil investor knows, funding a Project can be even more important than what that Project can extract from out of the ground. For 88E, the state of play in its funding situation bears a close resemblance to its exploration. In other words: at the top of the range. A recently oversubscribed $25MN Placement was initially pitched to institutional investors to raise $10-15MN, but was quickly adjusted up to $20MN... and then lifted again to $25MN. Given that the Placement went only to sophisticated and professional investors (with a rather high-calibre stature), this shows that the smart money is clawing at 88E’s front door for a seat at its Alaskan table. Yet another factor that validates our confidence in this stock. In the more than likely case that 88E goes to the market looking for a joint-venture partner for Icewine #2H, it will do so from a position of strength, rather than weakness. The 60% probability of striking oil in addition to 88E’s bulky 77% project ownership, are two factors that are likely to prove significantly advantageous over the coming months as 88E prepares and executes Phase 2. Like any investor, we absolutely love success stories here at The Next Oil Rush. 88E’s story is all about technical nous adequately blended with commercial timing and underscored by diligent execution. Over the past 18 months, 88E has expertly navigated its way through various hurdles and generated a streak of superlative results that have caught the eye of investors. Over the same period, there have been dozens of oilers filing for bankruptcy in the US underlining the point that lacklustre exploration and weak project economics will not be tolerated by ruthless market forces. If 88E has been able to outperform all other peers despite the market climate, we can only imagine its performance once oil makes a comeback and the oil price makes its way back to long-term averages. In the current market climate, many investors baulk at the prospect of oilers being able to deliver shareholder value and returns. But 88E has gone out and eclipsed every single oil company on the ASX, both in terms of valuation growth and its technical expertise in lining up an unconventional play with conventional flow rates. ...over the same time that oil prices have fallen by ~50%. That’s the equivalent of Rio Tinto going up in value despite a falling iron ore price. These sorts of things don’t happen often in oil investing, so when they do, you’ll be sure to hear about it on The Next Oil Rush .